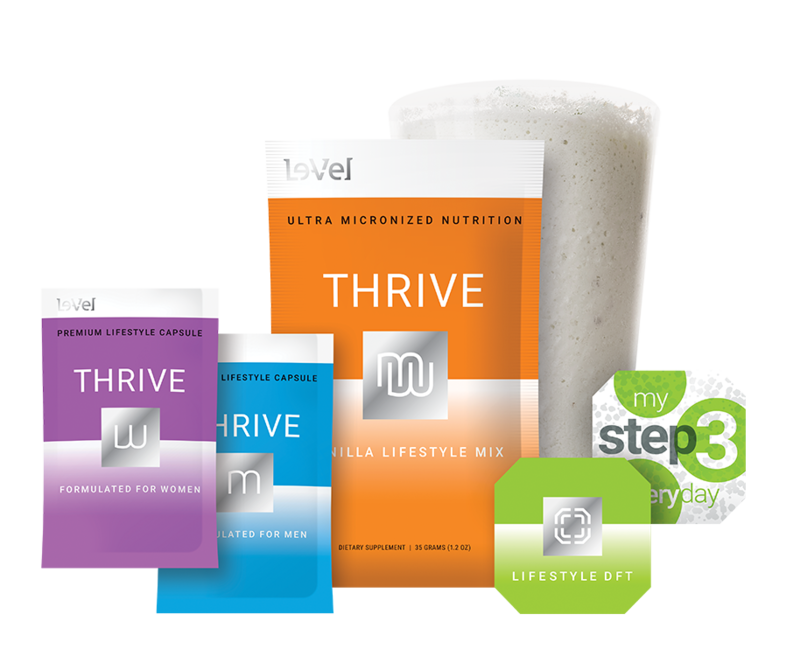 The THRIVE Experience is a combination of our THRIVE Premium Lifestyle Capsule, THRIVE Ultra Micronized Lifestyle Shake Mix, and our Premium Lifestyle DFT (Derma Fusion Technology). Our premium naturopathic and synergistic formula of Vitamins, Minerals, Plant Extracts, Anti-Oxidants, Enzymes, Pro-Biotics, and Amino Acids is like nothing your body has ever experienced! It's Ultra Premium at its finest. What's even better is that the experience is gender specific for Men & Women. The 8-Week THRIVE Experience is for anybody and every BODY. No matter how in shape, out of shape, healthy, or not healthy you might be, the 8-Week Experience is for You! Suit and tie executives, stay at home moms, professional athletes and couch coaches — everyone is loving the results from the 8-Week Experience. Doctors, Nurses, Dietitians and Personal Trainers all around the country not only love THEIR 8-Week Experience, they're also promoting it to friends and family. Simply pick your 8-week goal, or define the areas where you'd like to experience the greatest improvements! I love these 3 simple steps! I wake up energized and with no mental fog or grogginess. I have the motivation to exercise and don't crave the foods and drinks that I used to eat. I have been able to make better life choices and couldn't be more thankful. I am a happier person and a better mom and wife that I know I should have always been. I will be forever thankful for the Thrive Experience. To me, it isn't an 8 week challenge. It is a life-changing journey that I never want to end!! My cousin Sandy Meuer had been talking about Thrive for some time now and I just kept saying that can't be for me. I saw all the things she was accomplishing and still thought it wasn't for me. About a month ago, I decided I was tired of being tired. I contacted her and she sent me a sample. After the first day, I thought to myself, "Why had I been so negative on this whole experience?" I love it. I have the energy to get things done around my house. I don't want to take naps all day anymore. I am meal prepping and cooking more at home and that is saving us money and getting us healthy. I love everything about this product and can't wait to see where it is going to take me. My name is Sally Schuldt and this is my four month Thrive Experience. My journey started in early 2018. I was at my highest weight ever, lowest mood ever, always tired and dealt with general aches. I had started seeing Facebook posts from a sister of a friend. She was sharing stories of people and their amazing transformations with something called Thrive. My curiosity got the better of me so I looked into it a little. Give me a break, 3 easy steps first ½ hour of your day? This has to be another fad. A couple weeks later my best friend told me she had ordered the Thrive Experience and really liked it and thought I should give it a try too. Fine. So I reached out, asked questions, did a little more research, but still I just wasn't sold. Fast forward a few months, the only change was now I am messing up at work. It was at this point I did some serious research on myself and started a sample. Wow! Why did I hold out for so long? Day 1 I took my capsules first thing , waited 20 minutes to drink my Lifestyle Shake and slapped on this funny DFT thing. I wasn't sure if it was the Thrive or just in my head but I thought I felt a little more energy than normal. Day 3 same thing: 1, 2, 3 done. I not only felt like I had more energy but I was also more alert and motivated. By the second week in I knew this is what I've needed to straighten me out. I have a whole new outlook at life, I'm sleeping great, getting up before my alarm, actually exercising, no longer making mistakes at work, and I am just genuinely happy. I just began taking Thrive Balance pills. I noticed with just the very first pill I was able to manage my appetite... Just ONE pill. Amazed! I can't wait to see me at 1 month... I'll update later ?????? I feel like im still a baby "Thriver." I'm only 20 days into this regimen, but I do believe it's one of the best decisions I've made in years to take the step to commit to this product line. I had several people tell me, "I noticed a change in how I felt the 1st or 2nd day I used the 3 steps." It was much more subtle for me. I was actually on into my 5th day coming home from work when I noticed that I didn't feel as tired as I had been coming off of a 12 hr shift. The next morning (day 6)I only hit snooze once (I usually hit that thing 3 or 4 times)! I got out of bed feeling awake and alert. It then dawned on me that I'd slept really well... I felt rested! Almost 5 years taking Thrive product,s and I still look forward to it every morning when I wake up... the 3 steps are simple enough, and I'm finished before I head out to work every day. Not only that, but the way I FEEL with Thrive provides the motivation I've always lacked to make other good choices! Choices I always knew I wanted to make but just felt stuck. Feel better... Do more... For me, it's as easy as that! My name is Vladimir, and this is my Thrive Experience. I am a full-time filmmaker and graphic designer. As a business owner, I have to work every day twice as hard as everybody else to lead by an example, it was getting really hard to maintain focus necessary to do that, and get up every morning at 4 am, work out, go to work, and save some energy for my loved ones. I started using Thrive Experience and I felt that boost from the first day! I can keep focus and energy throughout my 18 hours long days and I love it! So glad I gave it a shot! This is the most amazing product on planet earth thank you from bottom of my heart! Thrive makes me happy! I have tried so many different diet and weight loss products and nothing has ever worked. I have been taking my three steps for about 3 weeks, and I feel so light and my clothes are loose. My skin looks more youthful...I'm getting a lot complements. I feel like a new girl. I was always tired now I feel good and I sleep like a princess at night. Thank you to the makers of Thrive. ~Your happiest client in Bakersfield, California. Yesterday was the first day I’ve tried it and I immediately felt the positive energy that got me off the couch and actually tackled a bedroom that was a mess and is now immaculate! I’m so looking forward to getting my package! Thanks so much to my friend! I recommend this to anyone! Hey everyone, I am writing to tell you what Thrive has done for me. It has helped me get sleep and helped me focus more. My general joint discomfort is calmed, it has helped me lose weight, and it also made me feel good, energized, focused, and happy. THE LIFESTYLE PACK is a great place to start! It has enough THRIVE for 4 weeks on the Experience, and has the option to add a 4-week supply of DFT: 2 Lifestyle Capsules each day, 1 Lifestyle Shake each day Monday – Thursday, and 1 DFT each day (if added to Lifestyle Pack). THE TONE PACK is one of the most popular packs, and is ideal for someone whose goal is to lose weight, lean out, and tone up. It has enough THRIVE for 4 weeks on the Experience, and has the option to add a 4-week supply of DFT: 2 Lifestyle Capsules each day, 1–2 Lifestyle shakes each day in place of a breakfast or lunch, and 1 DFT each day (if added to Tone Pack). THE COUPLES PACK is designed for a couple's Experience. It has enough THRIVE for 4 weeks for both of you to be on the Experience, and has the option to add a 4-week supply of DFT: 2 Lifestyle Capsules each day, 1 Lifestyle Shake each day Monday – Thursday, and 1 DFT each day (if added to Couples Pack). Refer 2 and your THRIVE Experience is Free! Do you know anybody that wants to experience the incredible results from THRIVE? As a Customer or Promoter, when you refer 2 personal Customers to take the THRIVE Experience you will get your Experience product free the next month, and every month after that (as long as you have 2 Experience Customers on auto-ship)! You will receive free product each and every month - as long as they continue their auto-ship. Not only can you take the THRIVE Experience for free with our "Refer 2 and yours is free" program, but many people are actually saving money each month while on the 8 Week Experience. Simply by redirecting the money they were spending on high calorie items like coffee and unhealthy breakfasts, lunches, and snacks, Customers and Promoters are reporting an average of $14.00-$28.00 a day in savings! 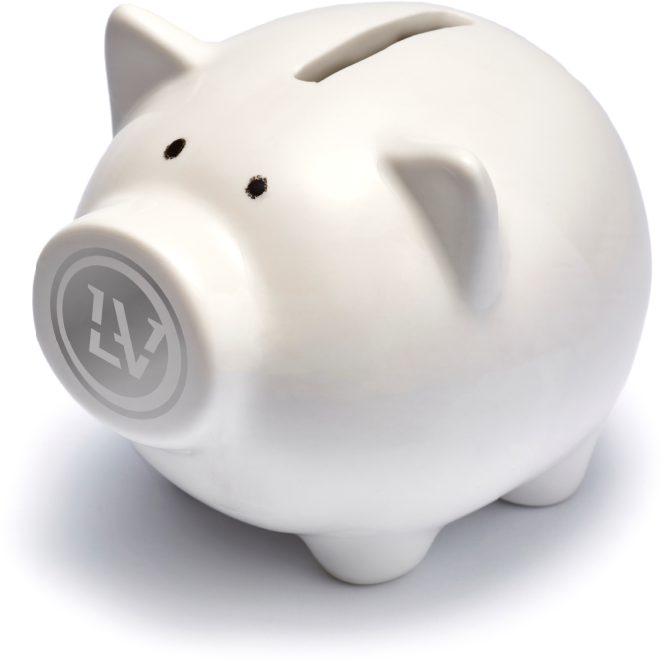 Earn a percentage of THRIVE Experience sales made by you and your team of Brand Promoters. Approaching $1 Billion in total Promoter commissions paid! Ride in premium style. 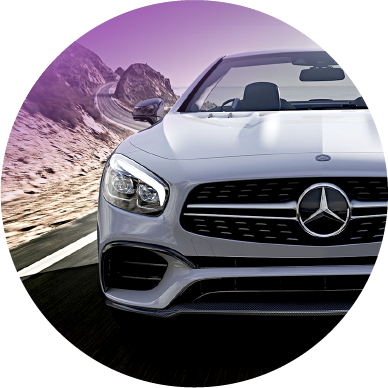 Earn an $800.00 monthly bonus toward a white or black BMW, Mercedes, Lexus, Cadillac, Audi or Tesla. Over $100 Million in VIP Auto Bonus payments in under 6 years! 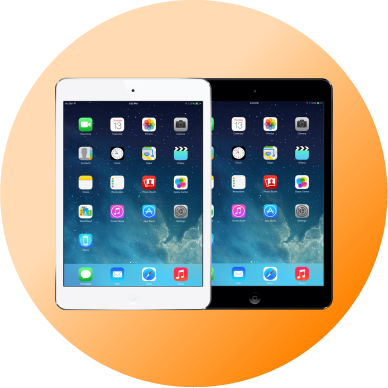 Once you qualify, we'll send you and iPad Mini to help you build your business. 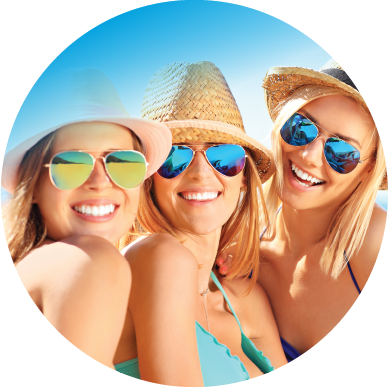 Immediate success promoting the Experience can be easy with the VIP 800/1600 Bonus! Earn $660.00 to over $1,600.00 within your first week or two!